OPEC and non-OPEC producers met in Oman Sunday to review their production cut agreement and assess market conditions. Saudi Energy Minister Khalid al-Falih emerged from the meeting to say their target of achieving the five-year average is likely to be changed. Still in oil, ultra-light oil is set to take center stage in the Asia Pacific sweet crude market this week as demand continues to sharply exceed supply, pushing spot premiums for many regional and Persian Gulf condensate grades to multi-month highs. In LNG, sentiment in the spot market for March is positive this week, with early spring prices expected to extend the robust winter demand in Northeast Asia ，as well as absorb the leftover demand from a pullback for February. And in petrochemicals, propylene prices show little sign of slowing this week after hitting a 33-month high last week. Buying interest remains supported by pre-Lunar New Year restocking, and supply limited by a slew of plant turnarounds. Editor Michelle Zhao talks about these and other factors that could drive commodity prices this week. 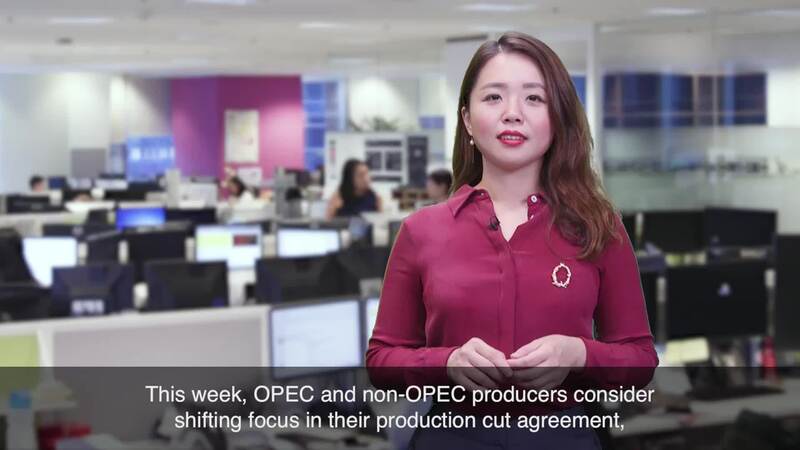 This week, OPEC and non-OPEC producers consider shifting focus in their production cut agreement, winter demand continues for LNG and coal in Northeast Asia, and propylene prices hit a 33-month high. But first, in oil, OPEC and non-OPEC producers met in Oman Sunday to review their production cut agreement and assess market conditions. Saudi Energy Minister Khalid al-Falih emerged from the meeting to say their target of achieving the five-year average is likely to be changed. The coalition may start to measure the success of its cut agreement by tracking oil inventories by region and by which grades of crude are in storage, he said, in perhaps a hint that producers may increase their focus on exports. What do you think of the producer’s move in light of current prices? Join our conversations on Twitter with #PlattsMM. Elsewhere in oil, ultra-light oil is set to take center stage in the Asia Pacific sweet crude market this week as demand continues to sharply exceed supply, pushing spot premiums for many regional and Persian Gulf condensate grades to multi-month highs. In LNG, sentiment in the Platts JKM market for March is positive this week, with early spring prices expected to extend the robust winter demand in Northeast Asia, as well as absorb the leftover demand from a pullback for February. In thermal coal, sellers are expecting a flood of demand this week from buyers in China wanting cargoes to arrive before the Lunar New Year holiday in mid-February. Restocking has emerged after freezing temperatures in China， pushed power plant thermal coal consumption to high levels, and prices to a 14-month high. In shipping, weakening sentiment has seen Capesize freight rates slip in recent days, and the outlook for this week ahead is mixed. Some sources expect there will be strong resistance from owners to lowering prices, while others expect weakening demand to exert heavy downward pressure. In contrast, Panamax freight rates in the Asia Pacific are expected to rise this week in the run up to the Lunar New Year. In petrochemicals, propylene prices are showing little sign of slowing this week after hitting a 33-month high last week, as buying interest remains supported by pre-Lunar New Year restocking, and supply limited by a slew of plant turnarounds.